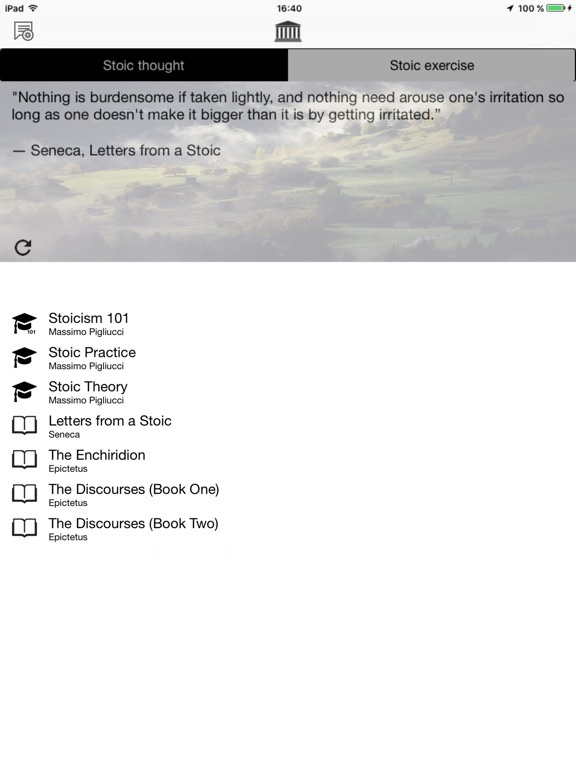 Stoic Meditations app: insight & download. - Stoic exercises: wisdom is knowledge put into practice. Do stoic exercise and collect accomplishment points. 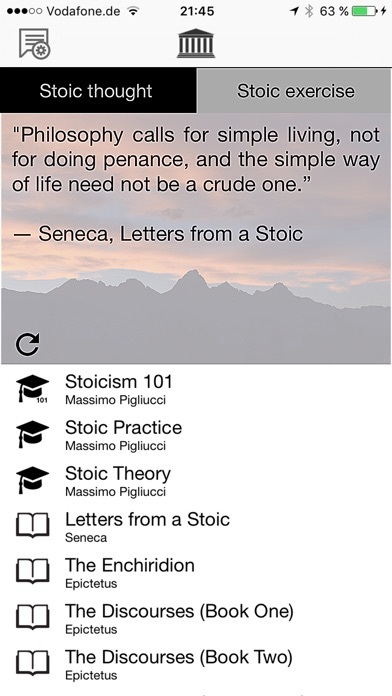 - Get motivated to deepen your stoic understanding through thoughts and wisdom from 2000 year-old stoic classics, which you can browse in the app. Study Marcus Aurelius, Epictetus, Seneca and more. 17 June 2016 : Free!